YES!!! 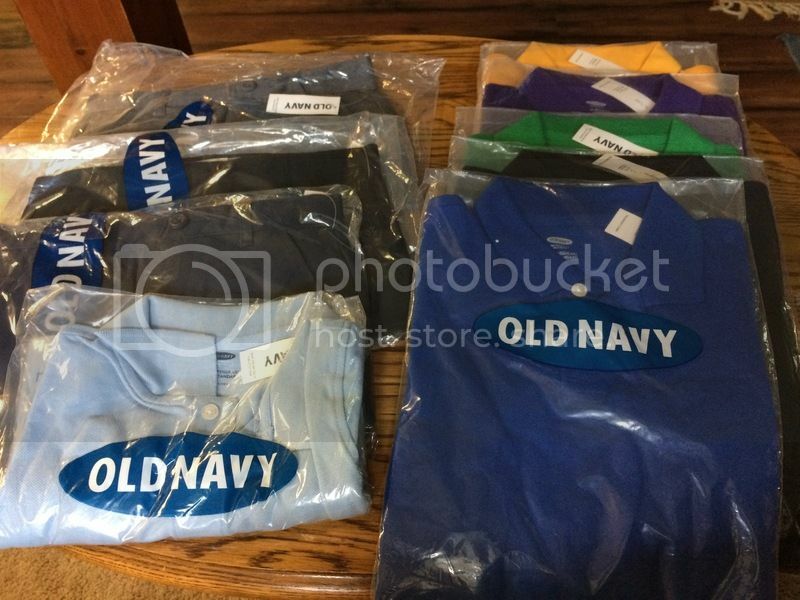 Believe it or not the polos and shorts that I got from Oldnavy are all brand new. How do I get to pay only $1 for everything? Here goes my way. Normally, there are others who won’t share everything they knew about how they get the products free or they’ll tell you one thing but they never walk you all the way through. I am different. I will share with you my ways on how to get such an awesome deal especially when it comes to clothings. I have my credit line at Oldnavy it is my second store card as well as my first credit card here in the USA. I never like credit card based on my experience in the Phil. I sometimes can’t stop spending and I end up using all my money to pay it back or I will be in a huge debt with an enormous rate of interest. Anyways, this company does have so many different ways for their customers to earn rewards, or just let their customer spend a little amount and they’ll reward them. I love rewards, the minute that I have start earning one and gaining more rewards, I becoming obsessed on earning them, and so I used my credit card as much as I can and most of my transaction goes to the card. Of course, I have to pay it back the next day or within a month. So I accumulate an amount of $66.00 rewards from using the card and that earns me more points. I waited for the right time to use my rewards towards my children’s clothing. I waited whenever there are a huge sale or even a great deal of clearance. I normally just get everything FREE or even pay at least a maximum of $5.00. And today is just one of those times that I hauled a great amount of brand new clothing without spending more than $5.00. I don't like using my credit card often as well. But I'm glad you found a great way to earn rewards and it's always nice to save on clothes!